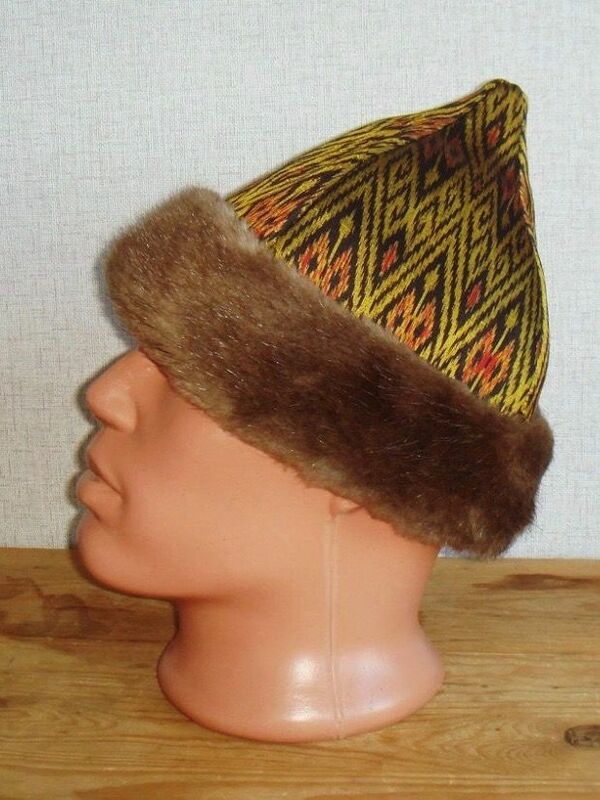 Such beautiful men's headwear was widespread in Rus and Scandinavia in the X-XI centuries. 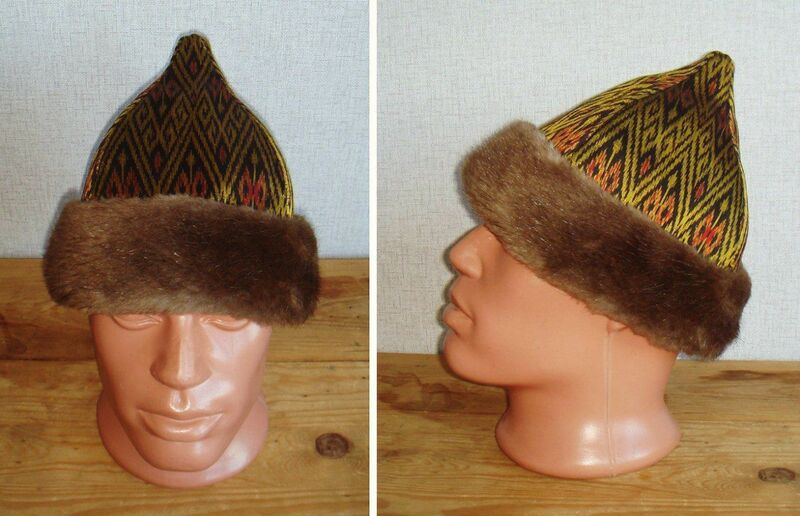 Top of hat is sewn of figured silk with woven felt inside. Lining is made of natural linen. Hat is furred with beaverskin.